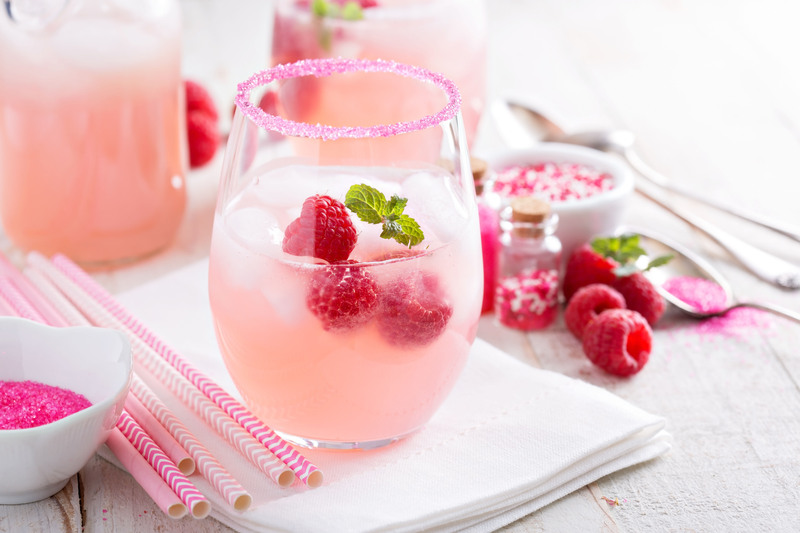 Here’s a simple and sweet punch that is sure to please for your Valentine’s Day Party. Note: You can buy heart ice cube trays in several cookware stores or online. Use these trays to make heart-shaped ice cubes and add cubes to punch. In a large bowl mix together the gelatine and the water. Stir in the juice and mix well. Pour mixture into three 1-gallon size freezer bags. When you’re ready to make the punch, remove a portion of frozen punch from freezer bag and place in punch bowl. Pour over one bottle of ginger ale and mix until slushy. Extra Fun Idea: Use pink sprinkles to create a pretty rim for your glasses.